About to sell? Who do you target your property to – and how? Costa Charalambous and Your Investment Property reveal how. When you bought your first property, you had a purpose, the property met your needs, and certainly there was a special connection. Now as the vendor, you are on the other side of the fence. But stepping into that old hat again and being in the buyer’s mind can help you be at the top of the selling game. To be an ace property seller, having sound knowledge of your property and your target market should be at the top of your sales strategy. Unfortunately, not all properties are made to a one-size-fits-all specification. In fact, these days, many buyers are looking for properties that they think and feel are made for them, and only them. So what type of property do you have to sell? Is it a 4th-floor inner-city unit? A two-storey house in an upmarket suburb? A bungalow in a peaceful cul-de-sac? Is it brand-new, updated, or in need of some TLC from its new owners? A simple SWOT (strengths, weaknesses, opportunities and threats) analysis can help you pinpoint the unique selling points, “WOW” factors, problem areas, and standard features of your property, which would be most suitable and appealing to the discerning buyers. Logically, a 4-level terrace would not be suitable for a 60-year-old couple but a courtyard ground-floor apartment would certainly be; while a top-floor apartment with no lift could be ideal for a young couple or a goldmine to an investor. First impressions and presenting your property as their dream home or dream investment is the key to getting your property sold. Your target is to create the desire to buy and the emotional bond between property and buyer. Keep the property clean, orderly, pleasant smelling or odour free. This is on every buyer’s checklist, whether they are newlyweds, a young family, empty nesters or retirees. Moreover, not all buyers are patient enough to try to look beyond a messy, dirty or smelly house – unless it has unique and special qualities that appeal to them or they are investors – as they probably have seen or will be seeing a number of properties that day. And remember, property viewing takes place only for around 15 minutes, so you have to cut through to the unique selling propositions right away. Furnishings/decoration should appeal to your target market. Keep it modern if you’re eyeing a young market. Hire contemporary furniture and artworks through your real estate agent if required. Play modern, upbeat music at inspections. Alternatively, if targeting empty nesters, you can get away with older-style furniture & traditional paintings. To add a homey effect, you can also set the dining table, light the fireplace in winter, or put fresh flowers in spring. De-clutter and keep the furniture at a minimum. This allows free flowing movement from one room or area of the house to another and provides bigger moving space for buyers. Another reason for this is that most buyers, especially those looking for unfurnished properties, would be decorating themselves and would like to inject their own tastes and preferences. It would be difficult for them to mentally play with the design of the interior if it is overly furnished. If possible, hide family photos and personal mementos in drawers, and shove in the garage out-of-place furniture (including broken ones) such as the worn-out green sofa you recline to at TV time. Keep the property unoccupied at the time of viewing. If tenants/owners are at the property, it can distract potential buyers from imagining themselves living there. Create an ambiance that says “this is for you” but make sure it also appeals to a cross section of market segments. The wider audience you appeal to, while showcasing the property’s WOW factor, the higher chances of a sale. Many people have opinions about whether or not to renovate before selling. Based on our experience, buyers prefer un-renovated properties. When you read about record prices achieved for properties in the newspaper, probably 95% of these are apartments in the right location and in complete need of a renovation or in original condition. One of the reasons is that most buyers feel they will get the property cheaper if it’s un-renovated. They fall in love with it and want to make it their own. And the truth is, with so many people clamouring for these properties, this creates competition, driving the prices up. This is why these properties sell for a mint. However, there are cases where you must renovate to maximise your sales price. If the apartment you are selling is too dated for anyone’s appeal, or located at the back of your building, has no aspect and is facing west, then a new renovation will add a positive to the property. This becomes a major selling point. If your property is north-facing with water views, those qualities are strong selling points in themselves so renovating might not attract more buyers (and therefore may not drive the sales price up). In this case, you can list at your highest reasonable selling price. Planning for a property sale is a usually tricky and daunting task better left to the experts. A good real estate agent would help vendors identify the target markets for their property based on the property’s type, features, qualities and potential, then market it in the most effective and efficient way. 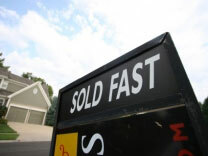 Most agents will want your property, and will be in a hurry to do the deal. A good agent will help you target your potential market better. Their job is to create attention, interest, desire and action. Go for the agents who will be upfront and honest with you, and not waste your time and money. The key to remember here is not to ‘tailor’ your promotional avenues. Promote your property through as many channels as you are able. You will want to market everywhere to maximise opportunities. It’s like fishing with a net compared with a fishing line. Having said that, I’ve found the internet is the biggest and most successful avenue. It’s the photography and advertising copy that should be tailored to your market. In fact, copy and images are so important that agents will seek services of professional photographers and copywriters rather than do it themselves. A popular extra feature these days is the virtual tour. Everyone likes seeing more realistic images and interesting viewing angles of a property which a normal photo would not be able to provide. Your marketing campaign should mention this feature in their promotions and listing. But beware of the additional software downloads that may be required to open the tour or the potential low download of the tour facility, depending on the user’s internet speed so keep the software system as simple as possible. Talk to your agent about using a combination of marketing communication tools and media to ensure you have reached the most number of audiences financially viable. Apart from online listings at various real estate sites, consider mail outs and classified ads. PR or a newspaper article about your property can add credibility and genuine interest. This is usually ideal for unique properties. The most effective advertising copy addresses the buyer directly (“you” and “your). Regardless of who you are targeting, potential buyers will feel the ad is directly and exclusively talking to them so they are more likely to pay attention and respond to the ad than if using impersonal terms. Your ad should highlight enough features to get potential buyers to register for a viewing. Don’t reveal everything, so the excitement or surprise continues in the actual viewing. There are reasons for choosing either open houses or auctions to show your property. Open houses are ideal if you have the time to spare on several viewings and can wait for the most lucrative buyer. You want as many people to come to inspections as possible, but at the inspection, the agent should really be talking to the target market, engaging them in conversations about the property and answering their questions. Auctions on the other hand are handy if vendors require quick sales or if the property is unique and hard to value such as a luxury pad offering a roof garden or pool, for which a sale can be made at top price. Many rich buyers may want to skip numerous and tedious viewing trips. Marketing does not end with having buyers at your open house or auction. Meeting client expectations and marketing promises can be a deal maker or breaker. Make sure the unique selling propositions mentioned in your marketing communications are there for the buyers to see. If you highlighted child-friendly living spaces in your marketing, make sure there are no fixed furniture or pointed/hazardous features that contradict your claim. Nothing is more frustrating than not getting what you expected from advertising. Copyright Your Investment Property and Your Mortgage republished with permission.